A filter can be defined as the medium through which we are able to separate solid particles of various sizes from the fluid. Here the fluid is made to pass through the filter. Depending on the type of filter, the latter allows the fluid to flow but pose a hindrance to the solid particles whereby it gets isolated from the fluid. The filter has pores of specific sizes. Hence the solid contaminants being bigger than the pore size get obstructed at the surface. This whole procedure of removal of suspended particles from fluid with the help of a porous media is known as the process of filtration. The procedure of filtration is crucial for the working of various industries. The basic objective behind filtration is to purify an impure substance, to make it suitable for further usage. 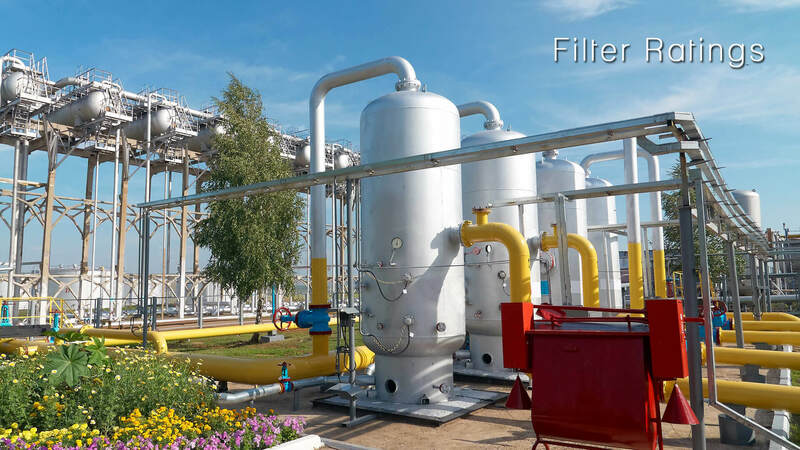 A substance in fluid form, for example, crude oil derived from the layers of the earth or contaminated water to be recycled, needs the process of filtration. Similarly air and gas can also be purified through various technological developments. Therefore the goal of filtration is removal of impurities off air, gas or liquid to make it fit for industrial end use & human consumption. Thus, purification is crucial to the well-being of the society and hence a necessity for almost all the industries for future developmental work and research. As mentioned earlier, to ensure proper filtration, the filters need to be of a specific character. The features include- pore size, chemical compatibility and filter ratings among others. Depending on the fluid to be filtered, whether oil or water or any other liquid, a particular filter is chosen, taking into consideration the above mentioned factors. However, here we can discuss about filter rating in a little detail. Filter rating can be defined as the rate at which the medium is able to filter out the impurities. The capability the fluid suspension possesses to remove the particles of specific sizes can be explained as filter rating. The factor of filter rating is directly proportional to the performance of the filters. The precise is the rate of filtration, the better is the performance. The rate depends on the efficiency of the suspension, the amount of solid allowed to pass through it, the energy consumed to capture the particles and the operating cost of the filter. So, the less is the rate of filtration, the more is pressure drop and hence an increase in operational cost and vice versa, that is, the faster the suspension is able to filter, there would be a low pressure drop, thus a decrease in the amount of functional cost can be experienced. To ensure that the rate of filtration is as efficient as always, the solid particles accumulated on the surface of the suspension during filtration should be cleaned properly through a reverse flow in some cases. This reverse flow helps the filter medium to get rid of the particles and maintain a proper rate of filtration. Hence now days stainless filter medium is effectively used for better filtration rating and cleanability. Just as filtration holds importance in the process of purification, similar is the significance of the filter rating as well. Hence throughout the process of filtration, the rate of filter should be taken care of and the medium should be cleaned properly. While purifying a particular substance, the filter medium should be chosen wisely, keeping the features of filters in mind, to ensure that you get the desired result.